This week we will look into the disease that has recently affected a great number of our trees in the park, Emerald Ash Borer. Emerald Ash Borer is an exotic beetle that will nibble on ash foliage, after eating the foliage, the beetle will lay eggs on the Ash tree. The beetle is native to Asia and it is believed it came to the United States in cargo ships carrying wood material. The first Emerald Ash Borer case confirmed in the United States was in Michigan in 2002. The larvae of these beetles feed on the inner bark of ash trees, which disrupts the tree's ability to transport water and nutrients throughout the tree. With the lack of nutrients throughout, the Ash tree will die. Emerald Ash Borer is extremely contagious between trees because often times the beetles do not settle onto just one tree so once one tree is infested, there is usually an outbreak across many. 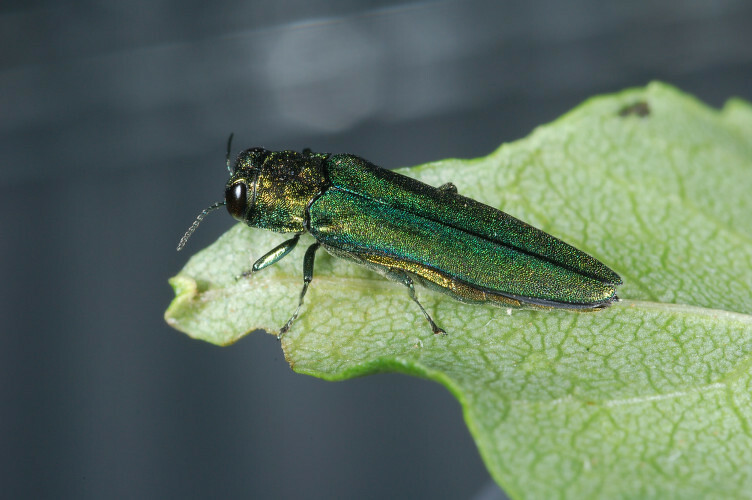 Some symptoms of Emerald Ash Borer are yellow, thin or wilted leaves, D-shaped beetle exit holes, bark removing from the trees, or unusual woodpecker presence and pecking holes. The symptoms that were seen with our trees within the park were the wilted foliage and the bark was peeling from the trees. Once the tree is infected, you do not necessarily need to cut down the tree, however if there are other trees within a close vicinity it is best to do so to prevent a widespread outbreak. It is important to quarantine the dead, infected tree so that the disease does not spread. At the SoccerPlex we had to cut down 20 of the diseased trees that were dead due to safety concerns. It is important that we continue to monitor the surrounding trees closely because there are over 600 ash trees in the park!. Luckily, most of the i in the largely wooded areas on the outside of the parks have not shown signs of the Emerald Ash Borer disease. Our plan is to now replant a tree for every diseased tree that had to be disposed. Montgomery County Parks is partnering with us to help us with this task to ensure we are able to replace all our diseased trees. We plan to have our park all cleaned up with new trees in no time! Check in next week as we take a look at renovations being made to field 9!